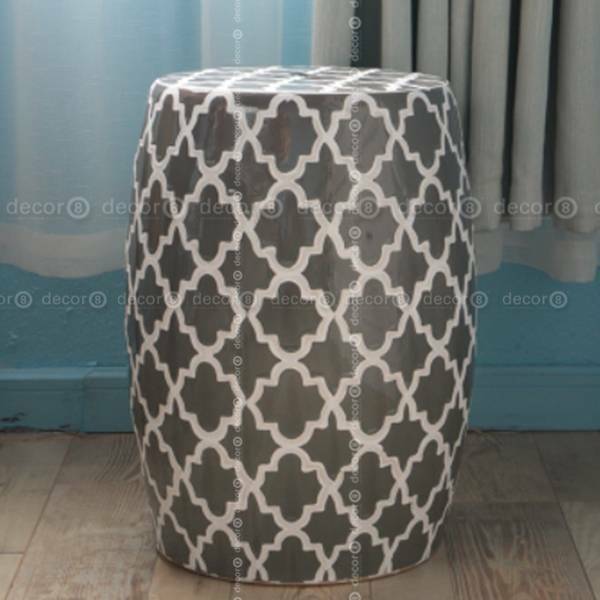 The Casbah Trellis Ceramic Drum Stool is made from glazed ceramic. 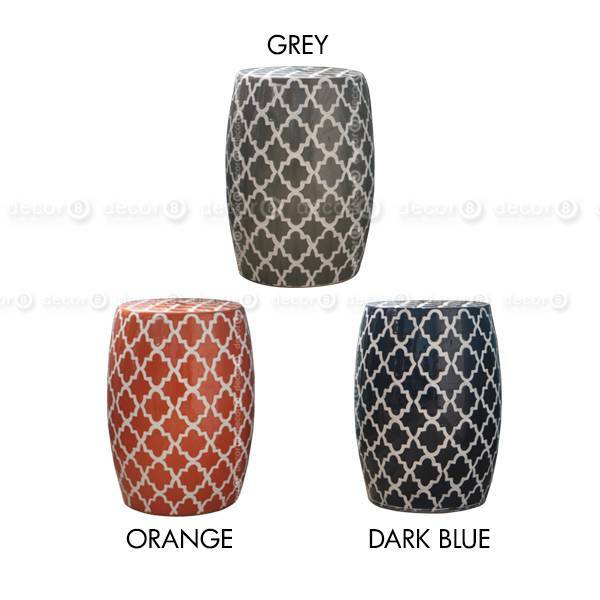 Inspired by the stools used in China since the Song Dynasty, these barrel-shaped stools have evolved into the popular home décor item that they are today, due to their versatility as both a side table and a stool, as well as the subtle Eastern influence they can lend to your interior. 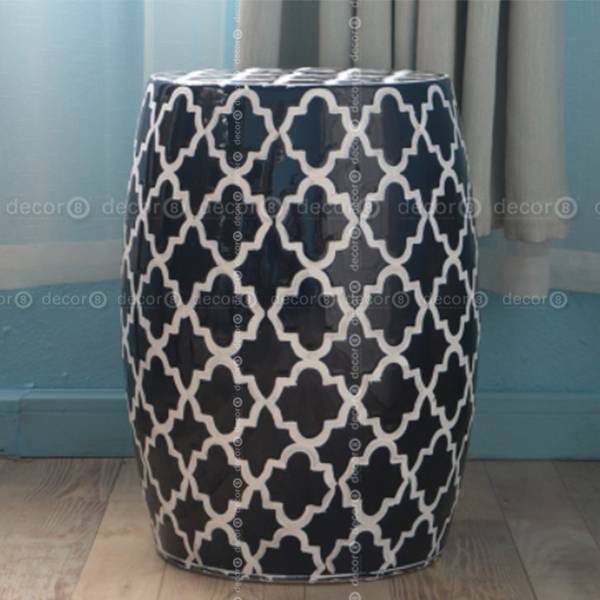 We now offer the Grand Drum with a Moroccan inspired trellis pattern. 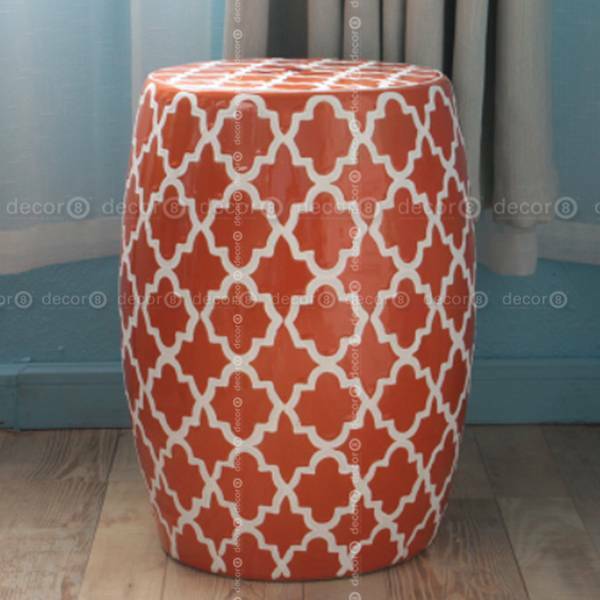 Perfect for Far East Fusion interiors or any space seeking to add a fun decorative yet functional addition to their space. This item ships in 7-12 working days.